At first glance this pixelated picture may not look all that spectacular, but it gains a whole new meaning when you realize what it’s actually showing: a look at the most distant crescent moon ever seen! 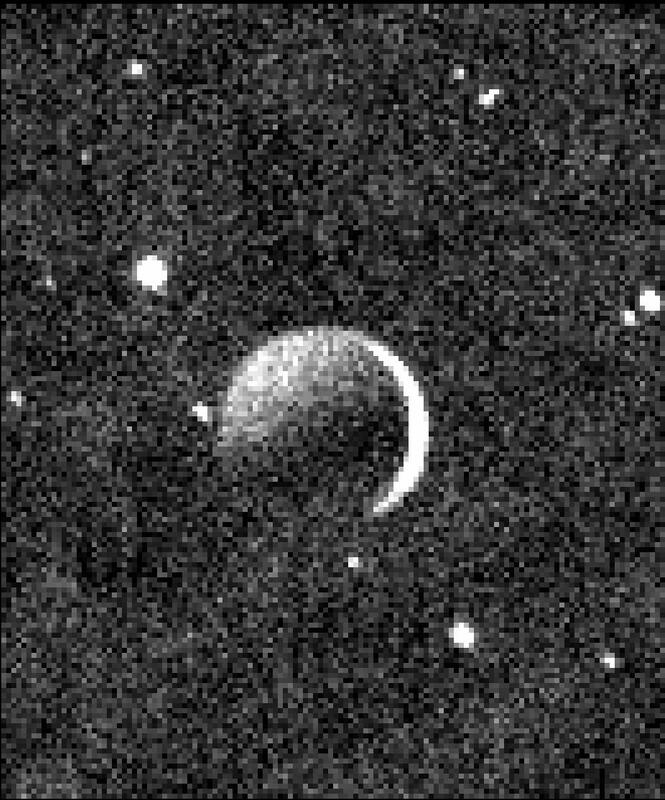 But this isn’t Earth’s moon; it’s Charon, Pluto’s largest companion, lit by the light from a Sun 3.2 billion miles away—some of it even reflected off Pluto. NASA’s New Horizons spacecraft obtained this image with its Ralph Multispectral Visible Imaging Camera on July 15, 2015, a day after its closest approach to the distant planet. New Horizons was about 100,000 miles beyond Pluto and Charon by that point; the only way to truly get a crescent moon picture is to be farther from a world than the Sun! 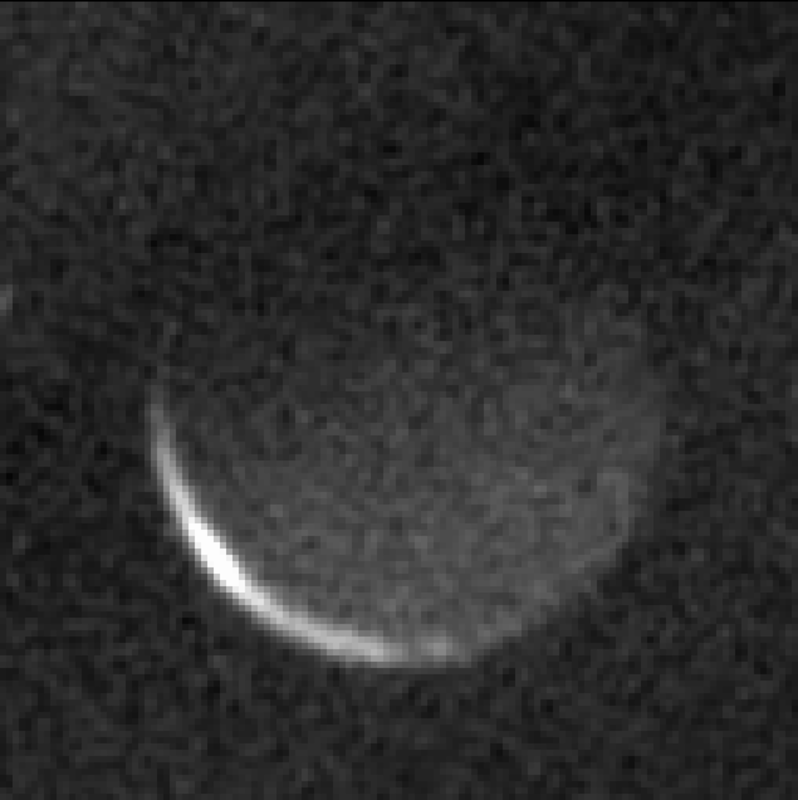 The right limb of Charon is lit by sunlight; the upper left hemisphere is lit by reflected sunlight off Pluto. Stars are visible in the background. At 750 miles across Charon is half the size of Pluto, making the two worlds more of a binary system than a typical planet-and-moon pair. In fact they both orbit a point between each other, and are also tidally locked…as Pluto and Charon travel around the Sun in their 248-year-long orbit—with four other miniature moons in tow—they both always show the same face to each other. A full rotation of Pluto and Charon, captured by New Horizons from April 12-18, 2015 during its approach phase. Learn more about Pluto’s moons here.